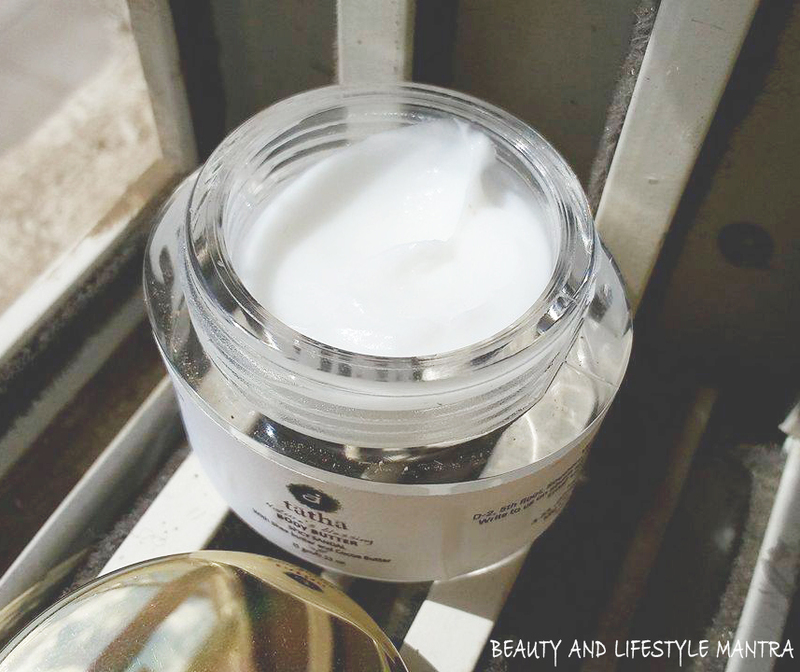 Today I am featuring on my blog a body butter from Tatha. This is the first product which I am using from this brand. I received this body butter in my last Violet Box. Tatha is a brand who believes in the ancient science. Tatha Ayurveda products are preservative and chemical free. They are 100% safe, pure and authentic. Tatha offers a wide variety of personal care, cosmetics, and natural wellness products for a healthy and happy living. So let's get details about the body butter. Body Butter Spicy Sandal enriched with the goodness of shea butter and cocoa butter film that gives a skin lusty and satiny finish. After the shower, take the desired amount of body butter and massage it over the body. I got a deluxe size product in my March-April Violet box. I guess this size is not available in the market. It’s only for the beauty box for customer’s first trail. The deluxe size product comes in a very cute oval size glass type plastic container with golden color screw cap. Usually, this type of packaging is secured with a white plastic lid under the cap. But I have not found any lid under the cap. So when you open the cap you will directly in contact with the product. 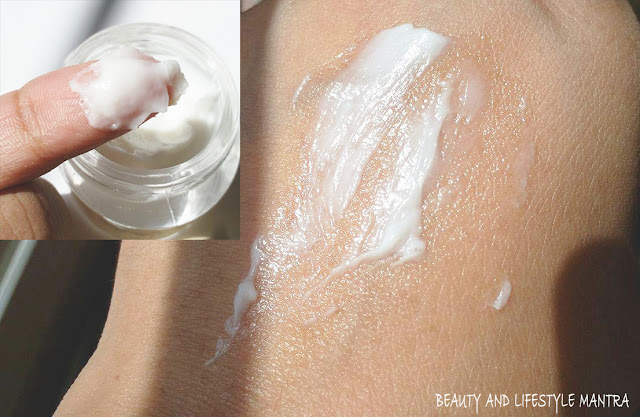 The texture of the body butter is very silky and smooth. The consistency of the product is a bit thick and buttery, not runny like other regular body lotions. So it takes a minute to get absorbed into the skin with proper massage. I typically do not enjoy body butter because they will leave my skin feeling greasy and sticky all day. This body butter actually does not leave me greasy at all. My favorite time to use it is just after I get out of the shower so my skin is a little damp and it makes my skin feel fresh and soft the entire day. It also leaves that awesome smell on my skin for an hour, after applying. There is no harsh smell from unnecessary chemicals. I absolutely love the scent! It has a very aromatic fruity fragrance. The body butter contains Shea butter as well as cocoa butter which makes the body butter very rich and that actually very good for dry skin to deeply moisturizes. Well, I am comfortably using this body butter in this summer. It keeps my skin shiny and soft. Just after the application it gives my skin a really smooth feel and makes it well hydrated. It’s perfect because I can really get into those my dry elbows, heels and all corners. 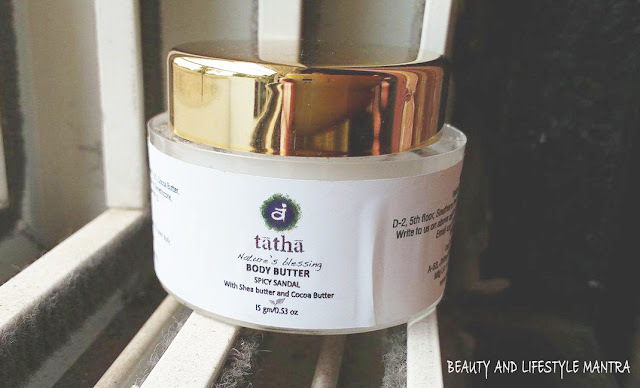 Overall, I can say that Tatha Body Butter is an amazing moisturizer and hydrating product. The texture is bit heavy, buttery but it actually does not leave me greasy at all. It's gentle on the skin. 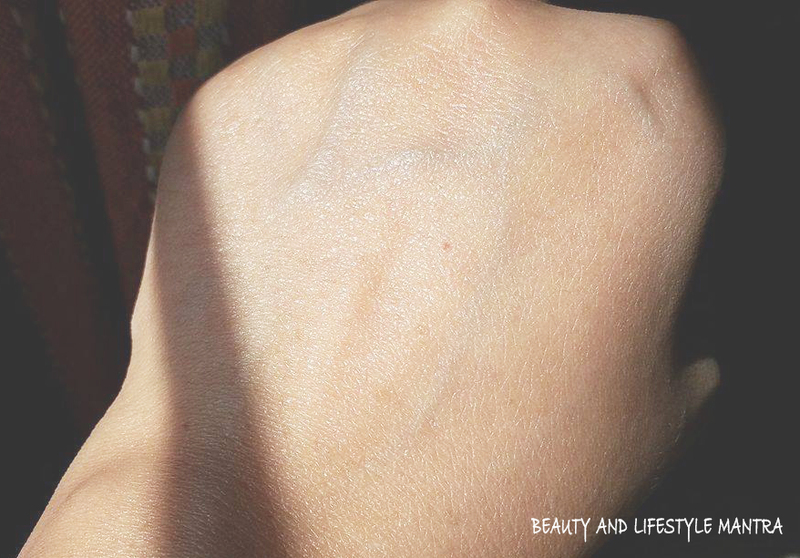 It nourishes my skin and keeps my dry skin smooth and soft. It has the most amazing scent that I'm addicted too. I absolutely LOVE the scent of this body butter. If you are okay with the price tag then I would recommend this body butter! Have you used Tatha Body Butter Spicy Sandal before or anything else? Do comment your thoughts below. I too am not too fond of body butter coz of their greasy texture... This sounds like I'm going to like it.. I am a regular user of body butter. Without applying body butter I can't feel my bathing done. It's been a useful post for me. Nice product but bit expensive and I also do not like Tub packaging . I never used body butter but this looks so tempting. I think i should start using it soon. I find it an expensive one but yet promising product too. The ingredients look so tempting that I will surely use this product. Nice! I love body shop products but never heard of ratha. This looks good and as u said ..even I don't use a body butter for the sake reasons but this looks good. This looks like a great product to use for all of us who have problems with dry skin. Will make sure to recommend it to my friends. Thanks for sharing information and your experience about this moisturizer. Seems an interesting butter since I usually don't like it due to their greasiness & specially in summers or rainy days. Shall think to try it out! I use body butter in winters .In summers its toohot for it.Will be checking out Tatha .Cocoa butter is a favourite. Thank you for sharing your experience over here. We African Fair Trade Society also providing shea butter products for hair and skin. Try our shea butter products and put a review on our website.